Keep up to date with news and articles from Norman Hobbs. To be the first to read breaking Norman Hobbs news, new equipment available and receive notification of special offers and ex-demonstration hi-fi and tv equipment for sale, please subscribe to our e-newsletter. 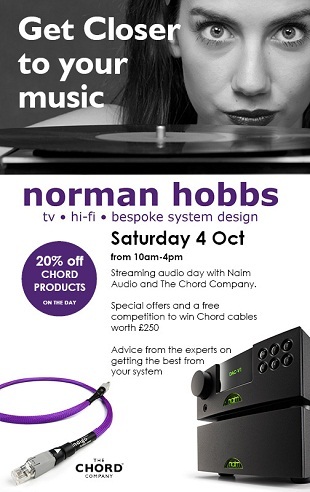 Norman Hobbs are holding a Hi-Fi audio event at the shop on Saturday 4th march. We will have both demo rooms in action showcasting products from Naim, Arcam, Avid, The Chord Company, Totem Acoustics, Monitor Audio and Quad. There will be a number of offers available on the day. Call into the shop to find out more. This event and Norman Hobbs will proudly be supporting Group B Strep Support. If you have any question about the Event Please call the shop on 01444 41353. 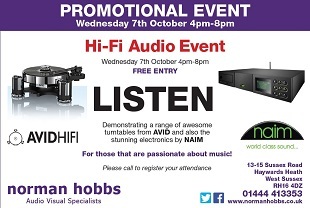 Norman Hobbs are holding a Hi-Fi Audio Event on the 07/10/2015 from 4pm to 8pm. 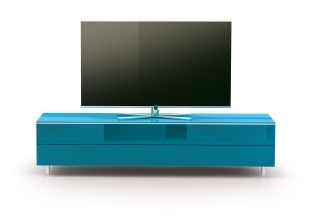 We will be demonstrating a range of awesome turntables from avid and also the stunning electionics by Naim Audio. This is a must for those that are passionate about music. Norman Hobbs are holding a movie day at the store on the 3/10/2015 from 10am to 4pm. We will be showcasing the Kaledescape Movie System. This is a must for those that are passionate about movies. Please call the shop to register your attendance 01444 413353. Norman Hobbs are having a Vinyl day on the 23rd of May 2015. Call into store with a selection of your Vinyl and listen to them on our world renowned turntables from AVID. We will also be using Naim Audio electronics for all our demo's. If you have any questions regarding this event please call the shop on 01444 413353. You can follow us on Facebook for all our latest news and offers. 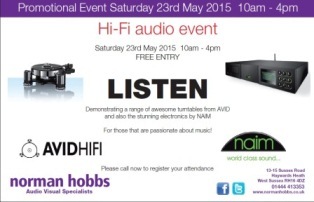 Norman Hobbs are holding a Event for Avid Turntables and Naim Audio systems. The Event will take place on the evening of the 9th of July between 5 - 9pm. 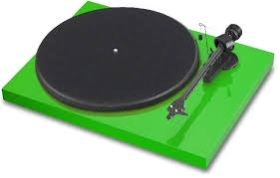 Norman Hobbs two demo rooms will be in action: showcasting the awesome turntables from AVID using NAIM electronics. Please Contact Norman Hobbs on 01444 413353 if you would like to attend. Norman Hobbs are hold a Event for Avid Turntables and Ruark Audio systems. The Event will take place on the evening of the 9th of may between 6 - 9pm and the 10th of may from 10am to 4pm. Norman Hobbs two demo rooms in action: one showcasting the awesome turntables from AVID using NAIM electronics and the other demonstrating the stunning audio range from Ruark Audio. Please Contact Norman Hobbs if you would like to attend. Norman Hobbs are now are very proud to be stocking Avid Turntables. 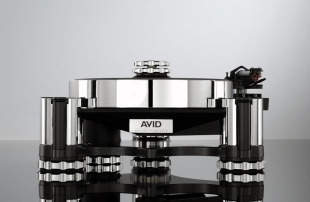 Avid Turntables offer the highest quality of sound for the Turntable market. Avid Mission Statement, The Truth nothing more nothing less. Since 1995, our uncompromising design and manufacturing approach, ensures the finest products available today. Modern manufacturing facilities, state-of-the-art computer design technology and large investments in materials research have turned bygone phonographs into leading-edge technology. With other mechanical, electro-mechanical and electronic equipment in development, AVID is a growing force throughout the audio market with a reputation for being Closer to the truth. Born from impatience with unjustified hi-fi hyperbole, we invested in two decades of developing a range of genuinely innovative engineering solutions to solve some of Hi-Fi enduring challenges. 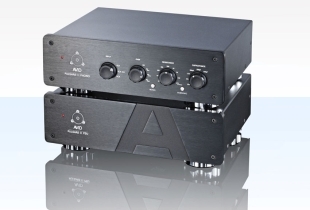 Spawning a cult-following, AVID is now recognized as one of the premier Hi-Fi manufacturers in the world. From a manufacturing base in Kimbolton, near Huntingdon, Cambridgeshire, AVID products are designed and constructed for a world market. AVID engineering expertise is respected globally. Consultation, design and manufacturing services have been applied by other premier companies within the audio, automotive, medical and military industries. Our precision and accuracy extend to every aspect of our business, from state-of-the-art CNC machines, accurate to within a few microns through to the hand-selected capacitors utilised in our leviathan power suppliers. Each and every component has to pass rigorous inspection before being assembled and tested. Manufacturing tolerances are so tight that all parts are interchangeable with other units, unlike other companies that have to match parts, AVID manufacturing consistency produces perfection in both performance and reliability. Investing in AVID gives you leading edge technology, performance and reliability from a company with a solid background. Welcome to the 21st Century of vinyl replay. Now in its 21st year The Independent Business Awards are still the biggest event of this type in this industry, which take place each year recognising both the Independent Retailers and also the manufacturers. The event format is that of a sumptuous gala dinner and awards programme, presented by our professional compare and comedian, Ian Moore. The awards recognise the dedication to the industry through the service offered by the independent retailers. Norman Hobbs had been nominated for the Best Independent Retailer Consumer Electronics category. Which we are happy to announce we are the winners. In the late 1980s we threw out our record collections and bought CDs then we binned CDs for MP3s now it's gone full circle with retro record shops opening and sales of analogue at a 25-year high. Dust off your decks, it's the vinyl revival. We at Norman Hobbs understand there has been a big increase in sales of vinyl and also a number of people getting there vinyl from out of there loft and wanting to play them them. This is where Norman Hobbs can help. 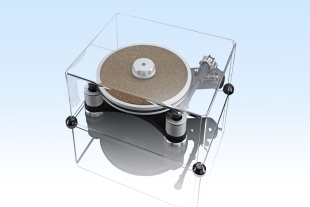 We stock a number of Turntables by Pro-Ject. 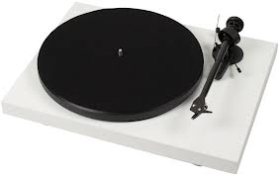 Pro-Ject Audio Systems was founded by Heinz Lichtenegger 1990 in Vienna, with the idea that analogue playback is the most cost effective way to listen to music of audiophile quality. inspired by the concept of supporting analogue in the face of the digital onslaught, Pro-Ject Audio Systems became one of the most powerful driving forces in reinventing analogue turntables for the hi-fi market. Norman Hobbs are now stockist of Spectral Stands. Come into the store to see are fantastic display stock. There is a choice of over 2000 colours in many shapes and styles. We are extremely proud to announce that Matt Buck has won the 'Best Independent Salesperson' award at the recently held ERT Industry Awards 2010. It is a fantastic result for any salesperson, but as Matt spends most of his time in customers homes, it is even more impressive. Matt is actually one of our team of Installation Engineers! Congratulations Matt. We are thrilled to learn that we have been shortlisted for Best Independent Salesperson at the forthcoming ERT Industry Awards 2010 to be held at the London Chancery Court Hotel on Thursday 7th October. Retailers around the country are visited by a Mystery Shopper who score their experience accordingly. In March we discovered that following a visit we had received a score of 10/10 which was recently put before the judges and we have made the top 3! We will be attending the awards and keeping our fingers crossed for the award! 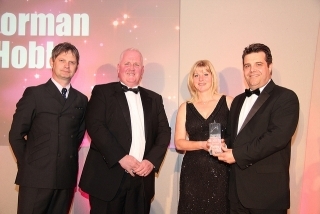 Norman Hobbs were thrilled to be crowned the winners of the Best Business Award 2009. The team at Norman Hobbs would like to thank all of their customers who nominated them for this prestigious award. We demonstrated the Kaleidescape movie system on a Loewe screen. We attended the show to promote our Custom Installation and Multi-Room systems. The show was well supported by exhibitors and attendees alike. Look out for us at the new show in 2010. Saturday 28th November 2009. Haywards Heath Festive Day. Haywards Heath Christmas festivities commence at 3.30 PM in Sussex Road with real Reindeers and Santa meeting and greeting the children. They will all then journey through South Road to the Orchards ready for the Christmas lights turn on with the Town Mayor and Bailey and Anna from Bright FM's morning show. Of course Nellie and Norbits will be there to join in all the fun! We were pleased to support Harwoods of Pulborough with their 'Pre-view' evening of the new Bentley Continental Supersports car. This new addition to the range will be available from October '09 with orders now being taken. For further details: see link below. The theme for the evening was 'Big Boys Toys' with curry, chilli and cold beer being served. With arcade games and close up magician James Prince, a good evening was had by all that attended. As a member on the Steering Group and after months of careful planning , the new HHDBA was launched. The association will be the independent voice of business. It is intended 'To Represent, Support and Develop businesses in Haywards Heath and District'. Nicolas Soames MP, was present at the launch and in total support of the association. The response from local businesses has been tremendous. The team from Norman Hobbs joined the thousands of people who cycled in and around London to raise money for Leukaemia Research. The team cycled from Chelsea Royal Hospital to the Thames Barrier and back, 26 miles in total. Thank you to all those people who sponsored us! Nellie, Norbits and their mascot friends were pleased to join in the festivities at the first Wivelsfield Village Day for many years. Norbits was the proud winner of the Egg and Spoon race and lots of fun was had by all on this action packed day. We were invited to join The Children's Trust for the opening of their new Rehabilitation Centre for children with acquired brain injuries. The centre was opened by Richard Hammond who has recently become a Vice-President of The Children's Trust. A competition was run on the Bailey at Breakfast show on Bright 106.4 FM the week running up to our promotion where callers had to identify a film clip that was being reenacted. The winner from each day was invited to joined us on Saturday 14th March for the grand final. The final was broadcast live across mid sussex from our showrooms with Bright 106.4 FM. After a nail biting morning, James from Haywards Heath was crowned the winner! He received a Panasonic 32 inch flat screen TV which we delivered and installed that same afternoon for him. We also ran a mystery prize draw for anyone visiting us that day. The draw was made on Bailey's Breakfast show on Bright 106.4 FM on Monday 16th March when we revealed that the mystery prize was a Panasonic DVD Player and the lucky winner was Mrs Barker from Lindfield. 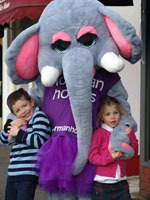 It was a fun day for all and our company mascots, Nellie and Norbits were out and about thrilling the children. 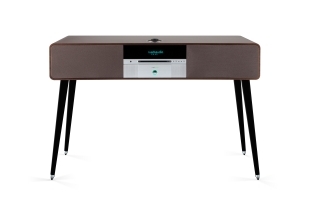 Are Two demo rooms will be in action one showcasting the awesome turntables from AVID using NAIM electronics and the other demonstrating the stunning audio range from Ruark Audio. The Event will be held on the 9th of May Between 6 to 9pm and the 10th of May between 10am and 4pm. Please call the shop to register your attendance. 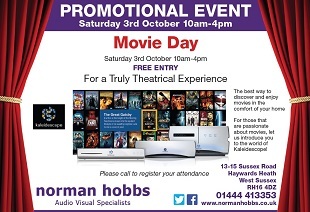 We at Norman Hobbs look forward to seeing you there. This site is built to W3C standards and optimised for standards compliant browsers. Based in Haywards Heath, West Sussex, tv and hi-fi specialists Norman Hobbs offer bespoke home automation system designs covering vision and projection, hi fi and audio, multi-room and home cinema.